General Motors’ premium vehicle brand, Buick, has sold 1,046,746 vehicles worldwide in the first nine months of 2016, representing an increase of 23 percent, or roughly 200,000 units, over the same time span in 2015. There results represent a milestone for Buick, as it is the first time in the history of the brand that the milestone has been reached so quickly. In fact, Buick’s 23 percent year-over-year growth is the highest in the industry for major brands selling vehicles in both North America and China. And with three months in the year remaining, the Tri Shield brand is destined to set its fourth all-time consecutive global sales record. The brand is marketed in Canada, United States, Mexico, and China, with the latter accounting for the overwhelming majority of the cumulative 1,046,746 sales. U.S. sales accounted for 169,767 units while Canadian sales 14,069 units. In China, Buick currently ranks as the second-largest passenger-car brand. In North America, it is outselling key competitors including Acura, Audi, Infiniti and Lincoln. In the United States, year-to-date retail sales of 148,428 units are the highest in 11 years. The brand’s lineups of crossovers is the primary reason for its growth rate: sales of the Encore subcompact crossover have increased each year since its launch roughly four years ago. September represented the model’s best U.S. sales month ever, with 7,197 deliveries. 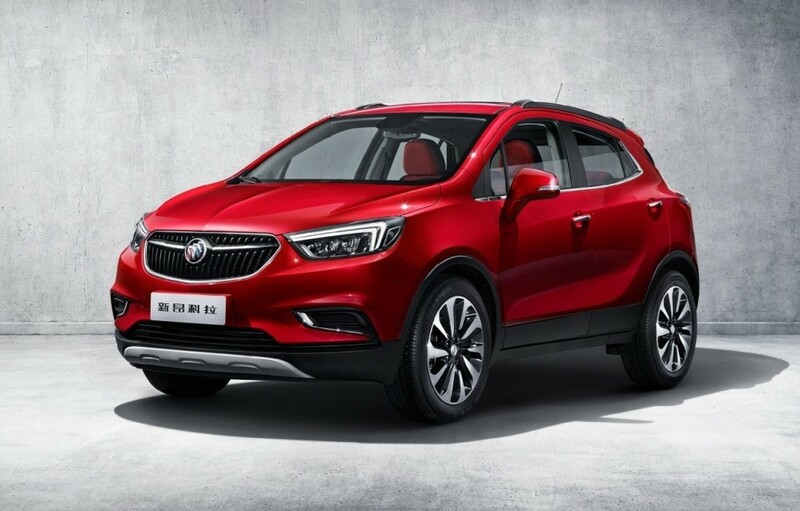 The 2017 Buick Encore received a refresh that includes an updated exterior, an improved interior, 4G LTE Wi-Fi, along with an 8-inch touchscreen with Apple CarPlay and Android Auto. The vehicle just started arriving at dealerships. Meanwhile, the compact Buick Envision is on track to hit 200,000 global sales in its second year. Sales in North America commenced in May and demand has been strong, despite limited availability and a high starting price point of the 2016 model in the North American market. In fact, the Envision averages just 23 days on dealer lots, far below the industry average of 65 days. Buick states that new customers in the U.S. cite quality and value among the top purchase reasons. In addition, Buick vehicles also continue to deliver top safety ratings, with the Insurance Institute for Highway Safety giving the Envision its Top Safety Pick Plus rating ― the organization’s highest rating. The Cascada convertible, meanwhile, is the only convertible on sale today with a 5-star safety rating from NHTSA. That’s great! But help us with the math: if China (leading market) keeps 50% of China’s sales, what’s the net effect? Not being snarky – just wondering how the numbers work if you subtract-out 50% of Buick’s biggest market, in terms of how it impacts GM? Well, “it’s not “worldwide”, it’s just North America and China, the latter being the main Buick market. That said, I also think Buicks are nice vehicles (driving Buick myself, 2010 2nd gen LaCrosse). how about extending Buick brand sales to some other country – say, some other country in Asia? Any ideas why this may/may not make sense?